Gas works for lighting town or large district. Collapsing gas holder. Retort House. Purifying House with lime machine. Director's Office. 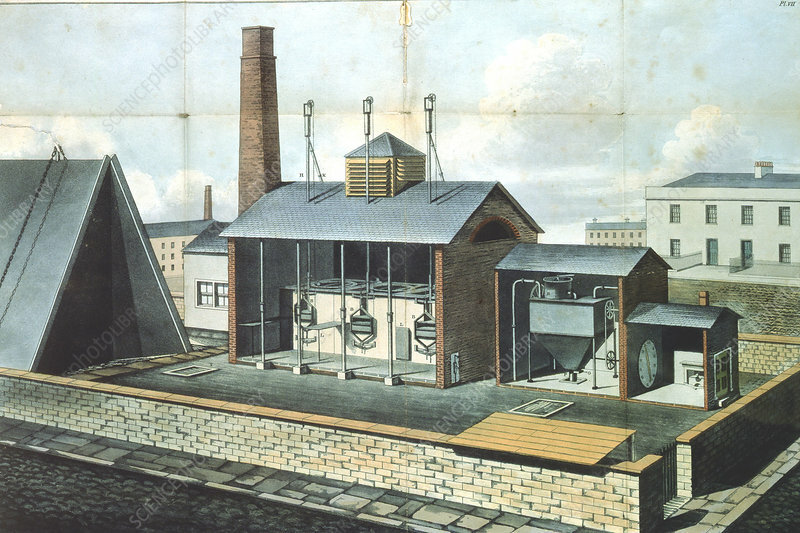 From Frederick Accum Coal Gas, London, 1819. Aquatint. Artist: Friedrich Accum.